Floor plans with principal dimensions, and front, rear, and side elevations. 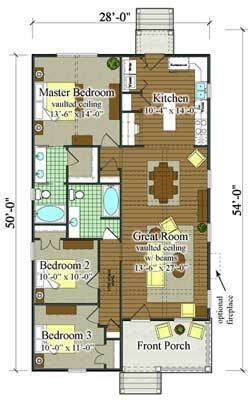 Build license for multiple homes from this plan, modifications, marketing artwork, DWG files, and more. BSA offers discounts for multiple plans, alternate exteriors, plan alterations, and new designs. Floor plan modifications or alternate exterior styles are available. 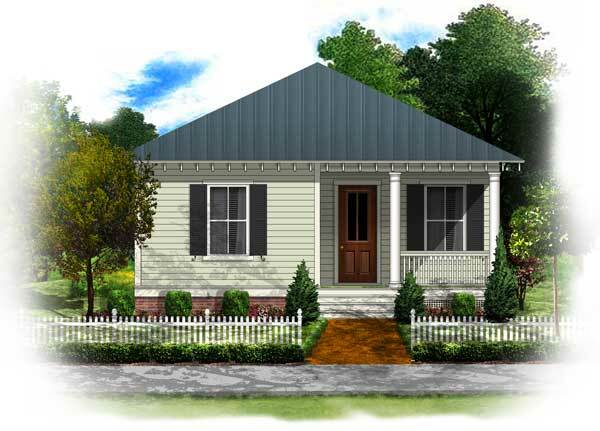 This floor plan is available in Bungalow, Classical Vernacular, and Victorian style. Copyright ©2019 Building Science Associates, Inc., Huntsville, Alabama. All Rights Reserved.